I start with the MAC Natural Radiance Base. This is an amazing yellow toned primer which helps to neutralise any redness and moisturises the skin. I love this because it feels hydrating but leaves no greasy, silicone-like feeling whatsoever. 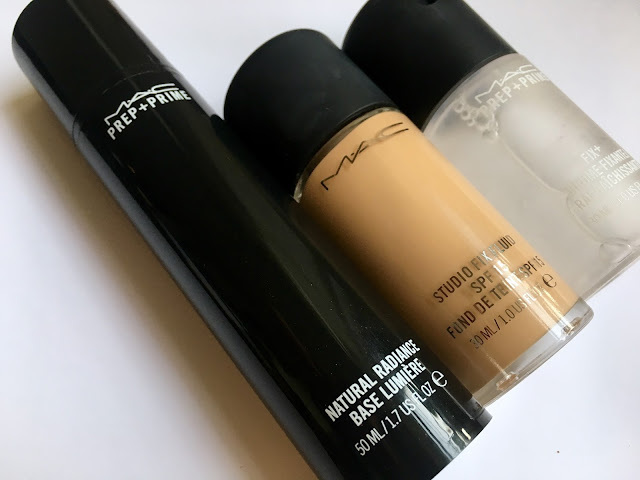 Secondly I apply the Mac Studio Fix Fluid Foundation. 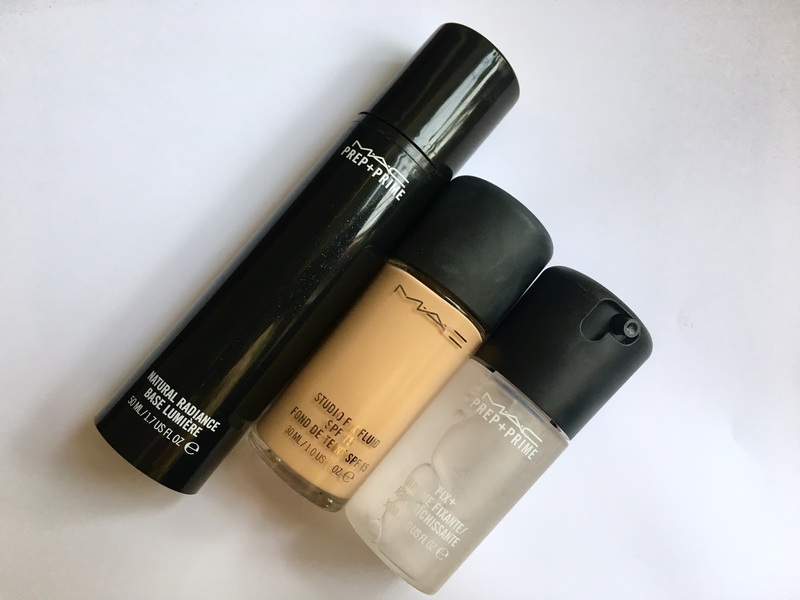 I previously used the Mac Mineralize Moisture foundation however I kept finding that throughout the day, despite the fact I usually have dry skin, it would just become very oily and would not stay in place. This foundation however, definitely stays put all day and even though it is medium coverage, feels like you have nothing on your face. Lastly I always carry around with me my Mac Fix Plus spray. This literally makes you look like you have just done your makeup all day. It saves a me a lot of time because rather than having to apply more foundation, I can just spray a bit of this and my makeup looks instantly fresher. Let me know what your everyday makeup essential are! Três produtos ótimos amei, tenha uma semana abençoada e obrigado pela visita. I don't use foundation every day, but I find BB creams easier to work with and lighter on my skin, but I need to invest in a good foundation for when I need it. Lovely post!